Cornelissen, Johannes HC, and G. W Kipphut. “Biogeochemistry Of Manganese- And Iron-Rich Sediments In Toolik Lake, Alaska”. Hydrobiologia 240. Hydrobiologia (1992): 45-59. doi:10.1007/bf00013451. Hiltner, A. L, and A. E Hershey. 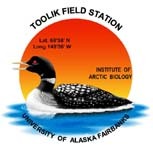 “Blackfly (Diptera:simuliidae) Responses To Phosphorus Enrichment Of An Arctic Tundra Stream”. Hydrobiologia 240. Hydrobiologia (1992): 259-266. doi:10.1007/BF00013467. Cornelissen, Johannes HC. “Cation Export From Alaskan Arctic Watershed”. Hydrobiologia 240. Hydrobiologia (1992): 15-22. doi:10.1007/BF00013448. Rastetter, Edward B, R. B McKane, Gaius R Shaver, and Jerry M Melillo. “Changes In C Storage By Terrestrial Ecosystems: How C-N Interactions Restrict Responses To Co2 And Temperature”. Water, Air And Soil Pollution 64, no. 1-2. Water, Air And Soil Pollution (1992): 327-344. doi:10.1007/BF00477109. Rublee, P. A. “Community Structure And Bottom-Up Regulation Of Heterotrophic Microplankton In Arctic Lter Lakes”. Hydrobiologia 240. Hydrobiologia (1992): 133-142. doi:10.1007/BF00013458. Hanson, K. L, A. E Hershey, and M. E McDonald. “A Comparison Of Slimy Sculpin (Cottus Cognatus) Populations In Arctic Lakes With And Without Piscivorous Predators”. Hydrobiologia 240. Hydrobiologia (1992): 189-202. doi:10.1007/BF00013460. O'Brien, W. John, A. E Hershey, John E Hobbie, M. AJ Hullar, G. W Kipphut, M. C Miller, B. Moller, and J. R Vestal. “Control Mechanisms Of Arctic Lake Ecosystems: A Limnocorral Experiment”. Hydrobiologia 240. Hydrobiologia (1992): 143-188. doi:10.1007/BF00013459. McDonald, M. E, A. E Hershey, and W. John O'Brien. “Cost Of Predation Avoidance In Young-Of-Year Lake Trout (Salvelinus Namaycush): Growth Differential In Sub-Optimal Habitats”. Hydrobiologia 240. Hydrobiologia (1992): 213-218. doi:10.1007/BF00013462. Hershey, A. E. “Effects Of Experimental Fertilization On The Benthic Macroinvertebrate Community Of An Arctic Lake”. Journal Of The North American Benthological Society 11, no. 2. Journal Of The North American Benthological Society (1992): 204-217. doi:10.2307/1467386. Goyke, A. P, and A. E Hershey. “Effects Of Fish Predation On Larval Chironomid (Diptera, Chironomidae) Communities In An Arctic Ecosystem”. Hydrobiologia 240. Hydrobiologia (1992): 203-212. doi:10.1007/Bf00013461. Hinterleitner-Anderson, D. L, A. E Hershey, and J. A Schuldt. “The Effects Of River Fertilization Of Mayfly (Baetis Sp.) Drift Patterns And Population Density In An Arctic River”. Hydrobiologia 240. Hydrobiologia (1992): 247-258. doi:10.1007/BF00013466. Bowden, William B, Bruce J Peterson, Jacques C Finlay, and J. Tucker. “Epilithic Chlorophyll A, Photosynthesis And Respiration In Control Of A Tundra Stream”. Hydrobiologia 240. Hydrobiologia (1992): 121-132. doi:10.1007/Bf00013457. Miller, M. C, P. DeOliveira, and G. G Gibeau. “Epilithic Diatom Community Response To Years Of Po4 Fertilization: Kuparuk River, Alaska (68 N Lat.)”. Hydrobiologia 240. Hydrobiologia (1992): 103-120. doi:10.1007/BF00013456. Sugai, S. F, and G. W Kipphut. “The Influence Of Light And Nutrient Addition Upon The Sediment Chemistry Of Iron In An Arctic Lake”. Hydrobiologia 240, no. 1-3. Hydrobiologia (1992): 91-101. doi:10.1007/978-94-011-2720-2_9. Hobbie, John E. “Microbial Control Of Dissolved Organic Carbon In Lakes: Research For The Future”. Hydrobiologia 73. Hydrobiologia (1992): 169-180. doi:10.1007/BF00006999. McKinley, V. L, and J. R Vestal. “Mineralization Of Glucose And Lignocellulose By Four Arctic Freshwater Sediments In Response To Nutrient Enrichment”. Applied And Environmental Microbiology 58, no. 2. Applied And Environmental Microbiology (1992): 1554-1563. http://aem.asm.org/content/58/5/1554.full.pdf+html. Rastetter, Edward B, and Gaius R Shaver. “A Model Of Multiple-Element Limitation For Acclimating Vegetation”. Ecology 73, no. 4. Ecology (1992): 1157-1174. doi:10.2307/1940666. Peterson, Bruce J, T. L Corliss, K. Kriet, and John E Hobbie. “Nitrogen And Phosphorus Concentration And Export For The Upper Kuparuk River On The North Slope Of Alaska In 1980”. Hydrobiologia 240. Hydrobiologia (1992): 61-69. doi:10.1007/BF00013452.